This goat with seven legs was born in China in 2010. 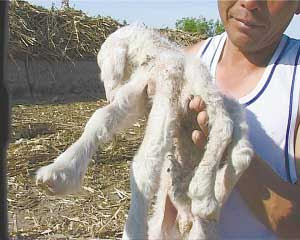 The owner of the goat, Mrs Song, from Jiaoliuhe township, Taonan, Jilin Province in China said it was a traumatic birth. 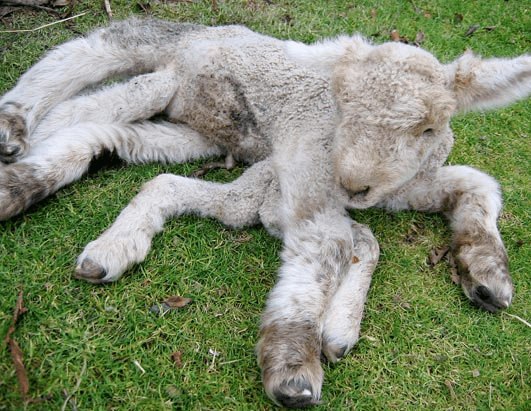 “It was very difficult for the goat to deliver the kid, so I used my hand to pull out. It scared me!” the owner said. Hagfish Slime – World’s Weirdest Fish?